There was a little bit of a learning curve to set this up, but now that it is, I'm blown away by how powerful it is. I use it to control macros in Keyboard maestro with Sibelius, and to send articulation changes to Logic 10.4. If you want to send standard MIDI data over wifi or USB cable, this is your app!! This is a great app. It has consistently been updated and supported since I started using it a few years ago. Love it! There’s a commonality of shared benefit in the reviews for touch osc, we all agree it’s a road tested and studio to stage ready application that just works. It’s so important for your gear to be reliable in live situations and this definitely is. Has been for years. It’s also stable and intuitive which is crucial for anything in the digital domain. You can count on it working, running light and doing what you want. That’s invaluable to me. First day using the app and my life has already gotten better. After downloading the editor and importing the layout for the hog 4 by high end systems. It was easy to set up and after playing with it for a couple hours I figure out how to designed my own layout that was a plot of one of the sets on the show I’m working on. I used buttons that when pushed would trigger a keystroke macro that would add the channel(s) into my command line. Having the control and efficiency that this app has enabled is amazing for how inexpensive it is. It was money well spent! This app is amazing. You should definitely have a little networking knowledge and controller mapping basic knowledge to use. But still easy enough for beginners imo. I’m a dj and use it as a basic light controller. 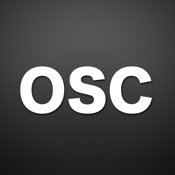 You can design your own templates with OSC Editor. Very cool. Saved me a lot of money in the long run. This app can be used for sooooo many things. I have encountered a repeated app transport security problem trying to sync with my laptop. Anyone have suggestions on how to work around this? Great app but developer refuses to add more color options. Could do some amazing things with this platform if the dev was more responsive and accepting of user feedback. never could get it to work,said it supported mix bus,no template,piece of junk,want a refund don’t buy it! Holy jeez, this is amazing. Clearly a lot of hard work and dedication on the developers' part. Very well worth the purchase cost. Took me about 5 minutes to configure this to use OSC to talk to Max/MSP 7.0.6. Very easy. I’ve been playing ever since. Great for Hog4 virtual control! All these people leaving 1 star ratings because they don't understand how to configure the app. SMH. 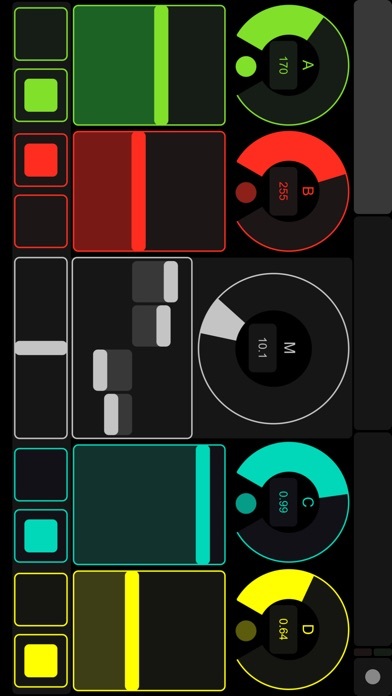 Best customizable OSC app out there! I use TouchOSC as a customizable interface that I can integrate into my Max patches and this update just makes it even more flexible. Thanks for an indispensable tool! Yea just get lemur if you have the money, it is soooo worth it. The templates and controls are really good. But i cant connect to the Touchosc bridge on my mac or pc. It wont launch no matter what i do. So can you please update it pr something to make it work better.PLEASE!!!!! ¡!!!!!!!!!!. Really powerful app, you can almost do anything with it. It requires a very complicated setup to begin with, following instructions with outdated screenshots. LiveControl 2 just doesn't work and there's no support. Don't waste your money with this app if Ableton Live is your favorite DAW. I'm not sure why the others had issues with this, all the required software is on the developers site. I downloaded this app because I needed a custom midi mapping tool for our praise and worship band. After downloading, I went to the developers site for the manual and found the other two pieces of software needed on my Mac to make it work (TouchOSC Bridge and TouchOSC Editor). I spent a grand total of three hours on it and now have a totally customized controller designed for what I needed. I can see that I will be creating many more templates! Having sync issue with version 1.9.5 where I can’t initiate a sync due to the error “Connection Failed! The resource could not be loaded because the App Transport Security policy requires the use of a secure connection.” Help. Cannot use anymore, please fix!! It's an amazing useful tool for the studio and stage. I love how easy it is to program and make work for your needs! Great work! Everything worked flawlessly as I followed the instructions. Wonderful interface builder, syncs like a charm. OSCcalculator comes in handy when sending things around to different applications. Wonderful job! I only managed to get the coremidi connection working, but like others cannot get the touchosc bridge to receive midi data. The website is very unintuitive, and livecontrol does not function and so ableton live is rendered useless. I am able to get the Simple template to work, but only using coremidi. My advice to the creator is to address these problems and also create a more intuitive website, as this is not currently the case. Crashes upon open, not usable. The new version is not compatible with iOS version 8. It won't even open anymore. Please consider fixing. Solid, simple, reliable osc communication! I've used this app for years and it works great! This works great with the latest ETC software that includes OSC. A little trial and error connecting with board but that was mostly settings in the ETC software. No update since Oct 2013. Enough said. Avoid until updated. I've used TouchOSC for some years now and it's never let me down. I've controlled all kinds of things from music to visual apps to light fixtures, from small projects to large. It's especially useful for highly personalized projects that need to be controlled with osc and or midi. TouchOSC has been around a while, and a lot of competing apps have come along since. Yet we still use TouchOSC for straight forward and flawless app control throughout our studio. It's got a very quick learning curve, and does pretty much everything you need for streamlined studio and live control. Couldn't live without it. 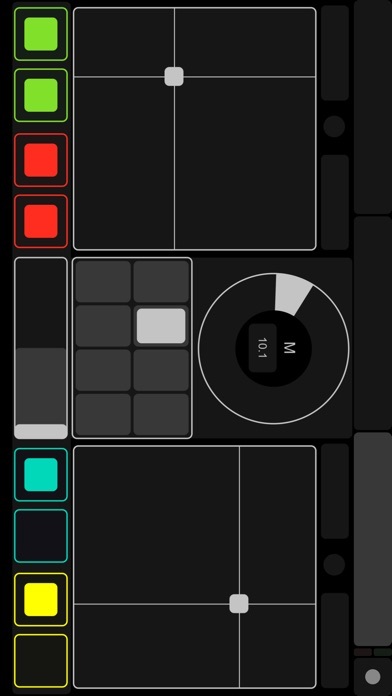 This will turn your iOS device into a legitimate midi controller for apps like Ableton Live. I connect to my laptop through WIFI using the OSCulator app on my desktop, which converts the app into usable MIDI CC messages. Great for impressing the crowd on-stage using WIFI for a wireless midi controller. Believe me, this is a gold mine waiting to be tapped. Get this. I've had this app for years and it's delivered 100% in terms of stability and usability. Cheers to the developers, thanks for a great product. Good luck getting this garbageware to connect consistently with any router or AP. I've tried several, and this crapware has never let me down on my low expectations. If I could give it less than one star, I would. Now crashes every time. Unusable. This works great for driving devices of all kinds through Arduino. 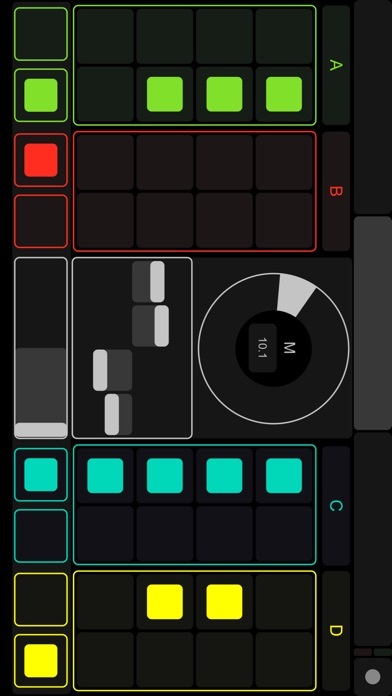 I was excited to use this app, but the set up with Ableton was very tedious and had to figure a lot of stuff out for myself; eventually had to resort to downloading other software just to get it to work at all. Everything worked except the x/y axis controllers, and when I contacted support, it took over a week for them to get back with me. They just said "we just want to confirm that TouchOSC works without OSCulator installed" and then referred me to another type of software called Live Control. I replied that it didn't work at all without OSCulator, and haven't heard back from them since. I have moved on and now am using Lemur. Not compatible with the new iPhones. The app is great, you get more persuasion touch on the new iPhone 6 and 6 plus. But would love (and would put 5 stars) if updated and optimised! Hey guys, I know this is a long shot and probably a lot of work, but is there any way you guys can create an Apple Watch version of this app? It would not need all the benefits that you get with the iPad or iPhone, but it'd give you the opportunity to have a couple of Buttons and maybe a slider or knob right there in your wrist ready to go! You guys and your app rocks! Ableton livecontrol straight up doesn't work anymore.